In Sotillo de Cabrera, in the region of Bierzo, León, Spain, the company Platos y Pizarras is found. Created with the vocation of creating and offering kitchenware options made with slate, they have presented marble, quartzite and soapstone in their catalogue. They currently have over 30 different models of plates designed with the solid surface from PORCELANOSA Group, KRION®. The dishes created with KRION have designs in line with the latest plating trends, canvases on which to display a dessert or main course as if it were a work of art. 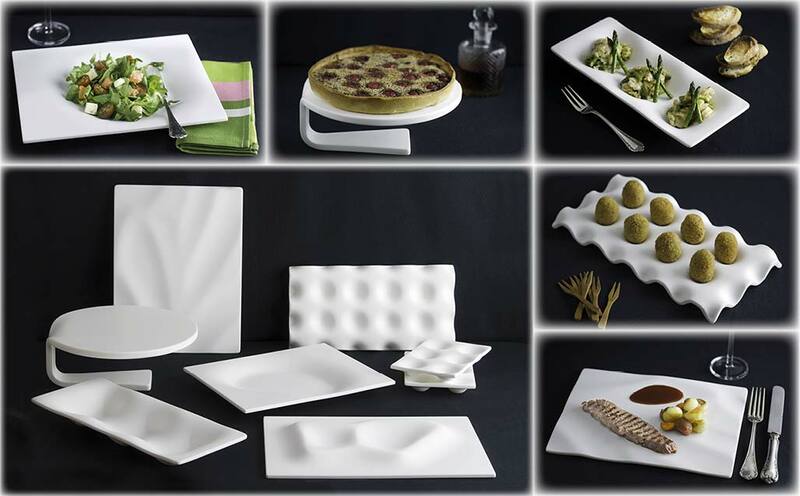 These plates and trays follow the designs of great chefs such as David Muñoz, Sacha, Pedro and Oscar of El Ermitaño, and the American chef Grant Achatz. Among other properties, the possibility of thermocurving, additive-free antibacterial properties, easy cleaning, resistance to high temperatures, being non-porous, and having a range of colours make KRION an ideal material for use as kitchenware, and Platos y Pizarras has been able to embody these properties in its designs, with a new, elegant line where the only limit is the imagination of the company and its clients.